Caroline Troncelliti competes for a loose ball. The senior midfielder had an assist when the Wildcats beat Ohio State 2-0 earlier this season. It’s now or never for the Wildcats. No. 17 Northwestern (12-7, 4-4 Big Ten) heads to this weekend’s Big Ten Tournament in Bloomington, Indiana, knowing it almost certainly must win three games in four days to take the tournament and earn a second consecutive berth in the NCAA Tournament. The fourth-seeded Cats meet fifth-seeded Ohio State (9-9, 4-4) in the quarterfinals today at 9 a.m. Despite the tall order and a 3-2 home loss to unranked Penn State (8-9, 4-4) on Friday, the team is relaxed and confident, coach Tracey Fuchs said. NU seems to have drawn a favorable opening matchup, having defeated the Buckeyes 2-0 in Columbus less than two weeks ago. In that game, the Cats had an astounding 29-2 advantage in total shots, and held Ohio State without a single shot on goal. To advance to Friday’s semifinals, however, NU will likely need to take better advantage of its opportunities. The Cats will also need to be solid defensively. 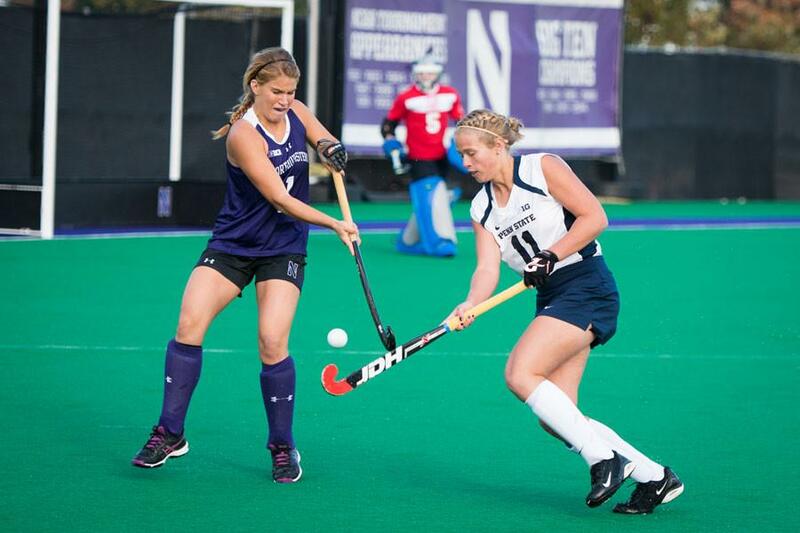 In each of NU’s last two games, the Cats fell behind 2-0 early the first half. Although NU ultimately recovered against Ohio, it failed to dig itself out of the early hole against the Nittany Lions. Beyond starting strong early in the match, the Cats will simply have to get up early. The 10 a.m. local time start is NU’s earliest of the season, but Cats players are unconcerned with the early hour. The early start could actually prove beneficial for NU, as it would give the team extra preparation time for the semifinal, likely against top seeded Maryland (16-3, 8-0). The Terrapins meet No. 8 seed Michigan State (5-13, 2-6) later on Thursday. The Cats had an up-and-down Big Ten regular season, losing to the top three seeds in the tournament. All three losses, however, were by just one goal, and NU generated enough opportunities to win all three. The Cats firmly believe that they can rise to the challenge against teams like Maryland, ranked No. 7 nationally this week, and No. 10 Michigan (15-3, 7-1). Before potential matches with the Terrapins and Wolverines, NU realizes it must take care of Ohio State.